We deliver in the KC area. now available. 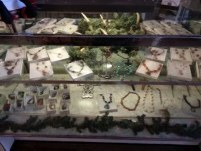 Natural stones wire wrapped and accompanied with additional stones. Order Party Trays of delicious candies for parties or corporate gifts. 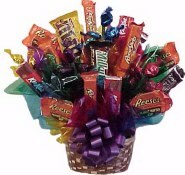 A great bouquet filled with chocolate bars and assorted candies. are custom designed with your candy preference in mind. You select the primary candies or leave it to us. We deliver to all hospitals in the Kansas City metro area, including Overland Park, Lenexa, Olathe, and Kansas City, KS. As well as Independence, North Kansas City, Lee's Summit and Harrisonville, Mo hospitals. events in the Kansas City area. Comes with your choice of toppings and ingredients. Design a special package of cookies, candies, and numerous other yummy things. Or create a new box of goodies and essentials. 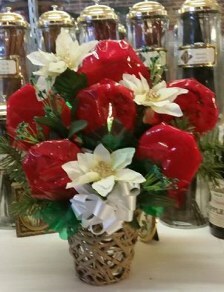 Care Packages begin at $28.00 for a basic gift of cookies and fudge. We deliver anywhere within the Kansas City Metro Area and ship nationally. Proud Member of the Kansas City Convention and Visitors Association. Sweet Expressions are for everyone. Rail Road Days, the Cass County Fair Complete with Arts, Crafts, and Rodeo a great Festival, Summer concerts in the park . 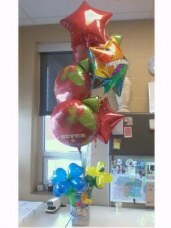 A Sweet Expression will be sponsoring the Student Art Exhibit. Find Pleasant Hill events at visitkc and visitmo websites. You'll also want to check out the Big Creek Country Show on Saturday Evenings. Come and see what we have available. A Sweet Expression can create the perfect gift for Valentine's Day, St. Patrick's Day, Grandparent's Day, Easter, Graduation, Birthday, Get well, Retirement gifts, comfort baskets, Father's Day, Halloween, Christmas, New Years, Thanksgiving, Sweetest Day, Special Teacher, Fourth of July, Memorial Day, Independence Day, Labor Day, Baby shower, New baby, bridal showers, Congratulations, Thank you, To cheer you, Thinking of you, I've missed you, You're special, A plus student, Honor roll, Anniversary. Gifts for him and for her. Snack baskets, Personal and professional gifts, Local delivery. We even do small class sized field trips to explain how we make our candy. Enjoy hand made chocolates, Dark Chocolate Peanut Clusters, White Chocolate Peanut Clusters, Pecan Turtles, Gourmet Pretzel Rods, Dipped Pretzels, Chocolate Crunch, Hillbilly Crunch, Dipped Licorice, delicious haystacks, White chocolate almond bark, milk chocolate almond bark, dark chocolate almond bark, Peppermint bark, Dipped Cookies, dipped ores, custom made chocolates and chocolate suckers for graduation, Easter, Christmas, st. Patrick's day, new baby, dad, mom, and many others.